Banners.com Prints & Ships Custom Magnetic Signs to all Anchorage Locations - Order Online Today! It's easy to order custom magnetic signs online 24/7! Once you have ordered your sign, we have a 3 business day production time. After that, we will ship your signs to your location. Our signs are typically 30 - 50% less expensive than local Anchorage sign shops, and you can avoid the hassle of having to drive to order and pick up your signs. You can customize a template in our online designer, upload your own artwork, or work with a graphic designer. Our magnetic signs are digitally printed in full color so there are no limits to what you can print on your sign. 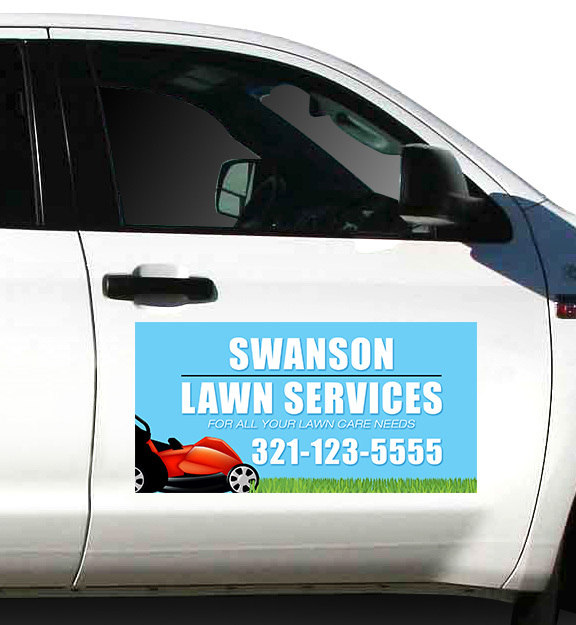 The magnetic signs include a lamination to help protect the print from the outdoor elements.You can apply the magnetic signs to your car, truck, van or other fleet vehicle. They can easily be removed and transferred. Some of the most common types of magnets are construction magnets, real estate magnets, landscaping magnets, contractor magnets, DOT magnets and restaurant delivery magnets. 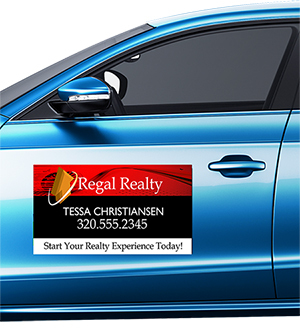 You can display your companies name and contact information on the magnet so people can see it while they are driving, while in rush hour traffic and when your vehicle is parked outdoors. Magnetic signs are printed on a 30 mil magnetic material. The magnets include lamination. They are digitally printed in full color. 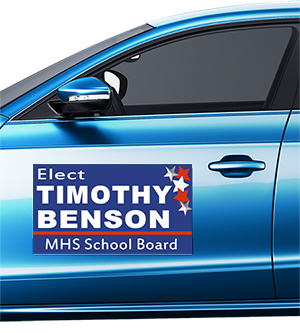 The magnetic signs are intended to be used on cars and vehicles. The max print width for magnetic signs is 6 ft. You can select custom sizes from the height and width drop-down menus. The standard finishing option for magnetic signs is rounded corners. You can also choose contour or square cut options. All magnetic signs include a laminate finish. Ideal for vehicle magnets, rounded corners provide better airflow over your magnet and help reduce drag. Rounded corners also help reduce the chances of your magnet coming off and are less likely to dog-ear or peel with repeated removal. This Product will be produced in our Minnesota facility ONLY. 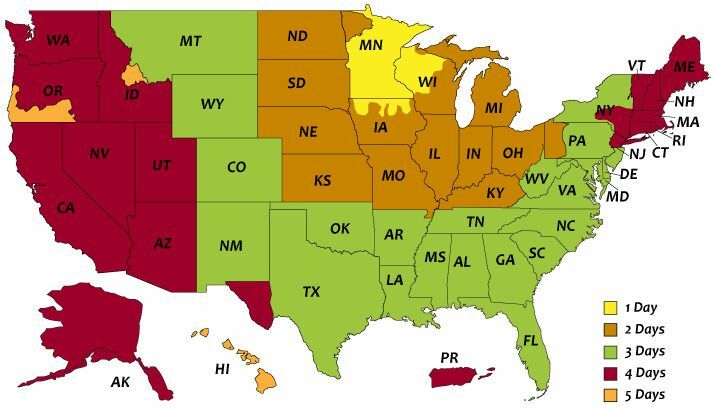 Please order your product early as we cannot control delivery after your product leaves our production facilities.